Your Zeiss 12-120 T2 becomes a 12-120 T2.4. The kit also includes a replacement PL mount (converting your Zeiss 10:1 from Arriflex Bayonet to the more desirable PL mount). The new optics are nicely integrated into the cone of the PL mount. This new kit is every bit the equal of the original Optex kit in terms of optical quality, but the mechanical integration is better and the cost is lower. The conversion, at our facility in Hollywood, CA, includes evaluation of the condition of your lens, installation of conversion optics, front and back focus adjustment on our precision autocollimator, and remarking of zoom and iris scales (decals). 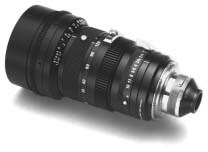 Cost of the optical conversion kit is $1959.- Standard cost of installation is 1.5 hours of labor ($225.-) and includes an expert evaluation of the condition of your lens, cleaning of exposed optics, installation of the S16 conversion optics, adjustment of front (infinity+100mm) and back (at 10mm) focus to Zeiss specifications, and a final check of optical performance on our autocollimator and lens test projector. Estimated 1.5 hour labor time is based on a lens that has no defects and meet Zeiss specifications for optical quality. Many of these Vario-Sonnar 10:1 lenses are over 30 years old and will require additional service to give best results. The lens owner will be provided with a description of any problems found and an estimate for recommended service. All work is performed by a Carl Zeiss Level 4+ authorized master lens technician. 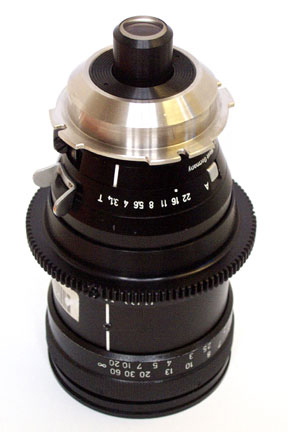 Cooke 9-50mm T2.5 to 10.8-60mm T3.0 Super 16 conversion, -please inquire about availability. ARRI PL Mount for conversion kit (included, formerly $650.00 additional cost with the Optex kit). Bayonet mount S16 conversion is no longer available. A conversion for your Zeiss 10-100 T3 or T3.3 to fully cover the Super 16 format. 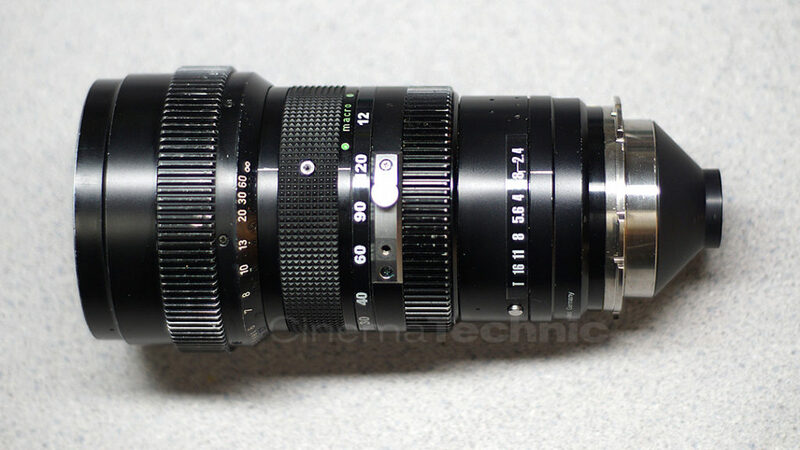 Zeiss Vario-Sonnar 2.8/10-100 T3.3 becomes an 11.5-115mm T3.8. We do not reccomend converting the non multi-coated version. A new zoom gear and 80mm front are included.